WILLEMSTAD - On 13 November 2017 the Council of the European Union (EU) adopted restrictive measures in view of the continuing deterioration of democracy, the rule of law and human rights in Venezuela. Travel restrictions and an asset freeze can be imposed in relation to those responsible for serious human rights violations or abuses or the repression of civil society and democratic opposition, and those whose actions, policies or activities otherwise undermine democracy or the rule of law in Venezuela. 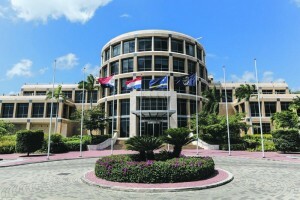 This has led to local media reporting that the Centrale Bank van Curacao en Sint Maarten (CBCS) has seized different Venezuelan offshore accounts. This information is not correct. The CBCS recently informed the financial sector about the EU sanctions as to the asset freeze. The sanctions are also published on the CBCS’s website http://www.centralbank.cw/integrityfinancial-sector .